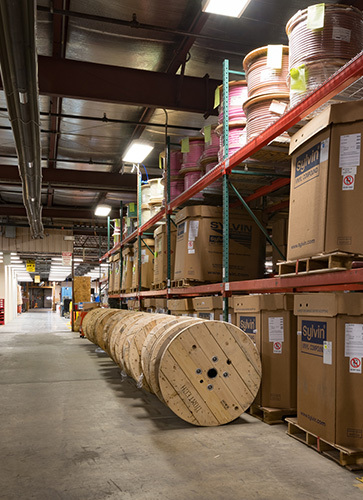 From procurement to distribution, Electri-Cord has developed a robust supply chain that is focused on quality and developing custom solutions to meet the various requirements of our customers. We are able to create programs to competitively source the needs for your project while meeting contract requirements and develop fulfilment strategies to deliver products to your specifications across the globe. Electri-Cord excels at product lifecycle management, we can assist from initial development, to introduction, scale for production (local/global), and manage inventories as products reach maturity and begin to wind down. With the ability to source small to large quantities, simple to complex custom components and meet quick-turn requirements; ECM is ready to help you succeed. ECM has developed several Supplier Managed Inventory programs at each manufacturing site to support high turn and project specific materials. Such programs allow ECM to create a JIT environment to reduce or eliminate lead-times for many standard items or raw materials specifically for your project. 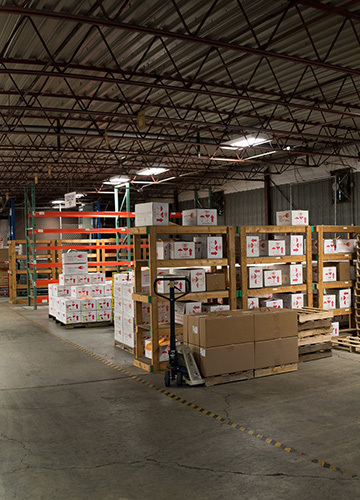 ECM is also able to offer Customer Managed Inventory programs to our customers as needed. Beyond manufacturing we can be your supply chain partner with the capability to stock products as required to keep the pipeline full and help you meet your internal or customer fulfilment strategies. ECM has the ability to meet or create specifications to ensure your product arrives in pristine condition. Branded boxes, containers, or crates – Put your Logo on it! Whether the job requires small package or specialized rigging, ECM can accommodate your needs; we are able to adhere to existing routing guides or create a custom solution for you to ensure products are delivered how you need them & when you need them. To ensure your cargo’s security, Electri-Cord recognizes the import role the Customs Trade Partnership Against Terrorism plays in the international Supply Chain. All logistics providers to Electri-Cord are required to be C-TPAT certified.